In the heat of a stressful moment the question was once posed to me, “How do you eat an elephant?” Answer, “One bite at a time.” Migrating data from one learning management system (LMS) to another can be one of the most painstaking and complex scenarios a team faces when upgrading their LMS. Having led many clients through this process, I have witnessed various levels of expectations and complications arise along the way. While an LMS migration may appear complicated and time consuming, the key is to stay focused on the main goal, plan, prioritize, and remembering to eat the elephant one bite at a time. When deciding how much historical data to keep, teams must understand who needs the data and how many years they are required to retain it. This step may prove difficult for accredited healthcare education providers migrating to a CME or CE LMS. For example, the Accreditation Council for Continuing Medical Education (ACCME) mandates that providers retain physician attendance records for six years from the date of the CME activity. Check the accreditation and state requirements for your organization as they may differ. Additionally, your organization may require order transaction history and financial reports. Do not move on to the next step until you have exhaustively identified what and how much data must be retained. No two systems are alike. A CME LMS may contain different features, fields and configurations then a nursing LMS or a pharmacy LMS. Because of this, there will be gaps in your expectation of data migration processes as well. This gap can be reduced by getting a good understanding of the new system’s features. If possible, complete the new LMS training before getting too deep into migration planning. It is far easier to migrate user data between systems than it is to migrate content because user data is more standard. For example, name, address, number of credits likely won’t vary much between systems. However, when it comes to an LMS migration, course content may require manual work. For example the new system may require a setting that didn’t exist in the legacy system. These gaps and manual steps should be considered when building out a timeline. Be adaptable and open to workarounds and you will mitigate timeline risks and ensure that critical data is migrated as planned. A critical path analysis will break down and identify all the tasks necessary for a successful LMS migration. Each task must be defined along with its expected duration. Once the critical path is determined, develop methods to guide you through each activity. For example, if part of your LMS migration requires setting up existing courses in your new LMS, determine the levels of complexity of the courses. Are there similar course configurations? If so, you can then expedite the migration process by creating templates in the new LMS for each course type. This will allow for efficiency, quality and consistency when building courses. 4. Where did my course history data go? 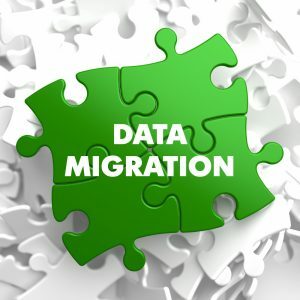 Do not forget to plan for communications when it comes to data migration. Determine how to announce the new LMS to your learners, and show them how they can retrieve historical data. Set up an announcement on your homepage and link to “How to” pages and videos. Send an email blasts out to your learners with links to instructions and get them excited about your new courses and features as well! Unexpected events can come up in any project. To mitigate potential problems, plan ahead, be adaptable, know your LMS, and have a strong project and communications plan in place. Doing so will provide a smoother transition and launch for your learners and your team. EthosCE Supports ACCME PARS, CE Broker, CPE Monitor, American Board of Internal Medicine, and Single Sign On (SSO) Authentication What Is Your Medical Association’s CME Technology Strategy?